Prof. Annie has an impressive track record in driving tripartite discussions between the education sector, government and private organisations, in close areas to supply chain. In her position as Director of the Financial Training Institute (FTI), Centre for Professional Studies (CPS), International Trading Centre (ITC) and Business Families Institute (BFI) at Singapore Management University. How do you manage to bring private sector and government together to come up with these initiatives? What is key to success? How will education look like in 5 to 10 years? Speaker 1:0:00Hello and welcome to the leaders in supply chain podcast. I am your host, Ralph Alamar you and it is my pleasure to have with us today professor, any Co from the Singapore Management University prof and he has an impressive track record in driving trip by type discussions between the education sector, government and private institutions in close areas to supply chain in her position as the director of the Financial Training Institute, the Center for Professional Studies, the international trading center as well as business, the business families institute that the Singapore Management University. Prof Co is also a member of the board of Prudential Assurance insurance company Singapore. She is the chair of the finance and investment committee. She sits on the golf tech Singapore Board. 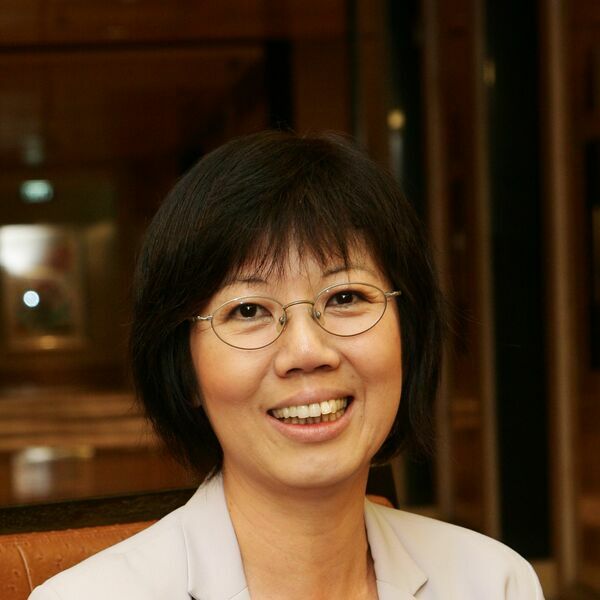 She is part of the Monetary Authority of Singapore board as well as the Singapore Central Provident Board and she serves on the skills future HR chief [inaudible] that committee as well as the HR certification task force. Speaker 1:0:52Prof, any pleasure to have you with us today and thank you for the time. Thank you very much, ray. I do. I think that's too long an introduction. Uh, well I, I've, I've barely touched the surface of all the things that you've done, but we had to distill it. Maybe let's start by asking you to tell us a little bit about some of the projects that you'll be ahead of that. The Singapore Management University. I know that you have a trading center that you've kind of funded, you have the business families institute. Tell us a little bit about this project and how you started. Speaker 2:1:19I think, let me focus more on the international trading institute. The reason's very simple. I think the questions that are coming, uh, when you announced this podcast are very much related to trading. And as you know, this is Singapore 200 birthday. So you know, since the discovery of Singapore as a village, and so stem flit raffles saw in Singapore when it's discovered in 1819 that we have a deep sea Harbour and so it will be the perfect spot for building a pot. But beyond pot in the last 200 years. We have international enterprise Singapore, the old name for enterprise Singapore today who had, they actually said we should have a downstream trading hub. And the reason's very simple because no pot is effective if we do not have a collation of trading companies. So in the year 2006, as I recall very clearly, I was wearing the hat of the associate dean of my business school and my major is in finance. Speaker 2:2:23So when I, ie Singapore, which is international enterprise Singapore people came to see us, they said many of the trading companies, uh, actually, uh, having traders coming from overseas. And it's not because of yard gains having overseas talent, but are there any institutions in Singapore building the pipeline of treating talent? And I think that you must give it to I will government, do you think long term they almost behave like business families because they have a long term horizon in mind and we cannot talk about sustainability of our trading hub if we don't pay attention to preparing the pipeline of talent. So in my role as associate dean, I put my up my hand and I said, it's very good that you have this ambition to the government. But if I do not have a group of companies that are willing to step up, then it's a chicken and egg issue because I would train people who will know commodities trading in depth and they will come up and graduate and be wondering are there jobs for them? Speaker 2:3:27Will there be rules for them? So I need a tripartite relationship. I need the government to sponsor some kind of a seed funding so that we can get into curriculum design. But at the same time I need an ecosystem of trading partners who will then take our students and it's beyond just taking courses in the classroom. Our students got to see treating come a life. Our students have to be attached as interns. And of course down the Rock, there must be den sauced as you know, at the pipeline where people are actually recruiting from this pool. Long story short, we celebrate at a tas and ever three 10th anniversary last year. So it's been 10 wonderful years. And a tripartite relationship really works when it comes to developing talent. Um, the government helped me in the first two years with some seed funding so they could find faculty resources. Speaker 2:4:25And because commodities trading is so specialized, you cannot expect university professors to know this. So we parked the treating track under finance manger and the students are required to do finance. But in addition, do you have three credit courses related to treating might not specifically targeted at treating. So things like treat finance, things like derivatives, things like shipping business. Those are four credit. Then on top of their other finance electives. But so much of commodities trading, it's about product knowledge. And my university faculty, including myself, we don't have it. So we turned to the ecosystem and we tell the ecosystem that you will get callin trained for LNG. Tell em chain far methyls tell entry in for a CHRO owed treating even emissions trading. But please give me your you sauces, send your top trader to class and there will be interacting with the students. Speaker 2:5:27So we did something innovative. We set up a series of non credit courses and everyone was laughing at us. I recall how many students were even come to this class because it's not for credit. Why would they even be here? Um, our students did us proud, actually signed up for the noncredit courses because the wonder here from the big shell treater who treats could they want to hear from the trophy trader who was going under Concordia then who treats agricultural commodity because they know that they will be in the radar or this wonderful leaders coming in. And that's the best way that we spot them so that they could be recruited. So today we have close to about 300 alumni. 70% of them are steel. Having careers within the industry and downstream is trading. So in the year 2013 merry time, pot authority, you came to us. Speaker 2:6:28So that reports, I'm the Ministry of Transport. Whereas trading reports and the Ministry of Trade and industry, so different ministries have already gotten about the things we do differently at Smu. So Mpa came to us and said, how about helping us and start a pipeline of talent? Who knows Mary time because you can not do downstream and not learn midstream and upstream. And we said, yes we are ready to go because my dean in the school of Economics tore me. You did so well for the dean of business school, please do something for us. So we started a maritime economics track and that was about four years ago and we have students who are not only doing maritime economics, they'd get a one term in Copenhagen business school fully funded through the MPA funding. So that is the beauty of tripartite. And I do the Singapore government put the money where your mouth is because the grow talent, you must have patient capital on top of that debriefing the ecosystems. Speaker 3:8:56it's fascinating actually. I knew a little bit of the story but thank you for for sharing the details with us and I'm, I would love to find out a little bit more because definitely now you've come a long way. You've done, you've done more than 10 years of this, this different tracks and with success, you know, success breeds success and more people come on board and of course you have case studies and testimonials of people who've made it and now they have successful careers. But I'm just curious if somebody's listening to the podcast from another part of the world is just trying to get started and not everybody is as maybe as progressive as the Singapore government depending on the country that we write. What was some of the keys to success, right? Because maybe there's a couple of of keys right there. One is how do you get on board the private sector, right? Then the 60 companies that you initially got on board. Maybe we can look a little bit into that. Then the second one is also on the, on the, I mean the government of Singapore is very forward looking, but maybe there's some other elements, key elements to success at the beginning. Speaker 2:9:49So, so that's a great question. I do, I think essentially the private sector today I actually much more engaged and uh, many, many years ago, I mean a lot of private sectors such a realize that we have to cocreate callin together. It's always had been a big issue and in the past they just go to the career center and say I need so many undergraduates and you know, any major we'll do any degree will do. But today there is no time to wait and many companies are no longer taking people and just doing in house because they don't have the luxury of time. So if you go out to a private sector, one of the key success factor is do go out to the private sector and see we are willing to experiment. We are willing to co create, we will have like the Senate and a lot of the uh, you know, committees that we have to go through, jump through hoops if we have to launch a new program. Speaker 2:10:44But a trek, it's not a new program. ATTRAC it's only a track within the major. Yes. Yes it is. So don't try to change the world by going to see, I'm going to have a new undergraduate degree, a new master's degree focus on logistics or supply chain. I think that makes it very much more difficult because you have many hoops to clap. But you would do something which is relatively painless in a way and not rocking and shaking the boat and you know, bring in partners who sees we are willing to come part way with you because many of our faculty may not be in a position to teach a lot of the applied cautious. Yes. So allow for the possibility that many of the causes that you are proposing for the students to take me not be competent as credits. Yes. So it comes out as some kind of certificate of completion or you could be a study. Speaker 2:11:42What project? Who say's that learning or new take place in the classroom. So a lot of learning can take place because it's outside of the classroom and students are doing a project and in the process of doing the learning and of cost in that process you are also coaching them. So you have a chance to identify the 10 Linda fits your culture or Heston, right? Competencies and entrepreneurial spirit depending on which value chain. So I view or a young start up, you definitely could do real a lot of young talent if you are, um, you know, stay any girl, but you still need your eyes to come in and you will have your own succession challenge because many in the maritime and logistics actually having gray hair or no hair. So shouldn't it be your responsibility to also have a pipeline of next generation people? Speaker 2:12:34And I'm, my role is actually the more I learn about trading, shipping and logistics and supply chain. I think it's an exciting area. I think it's a great area to go out to the young talent. And so this can be a great career pathway. Why are y'all not looking at it? All right. And in the past a lot of our students go to banking, then the brand new ones in or they all go then. So our role is it, this is important from wine country. Work with me, talk to the private sector. And so you'd let's solve this problem together. How do we build a pipeline of Tellin collaboratively? Speaker 3:13:13Yes. And that's, that's, that's a fantastic sharing actually ended. And indeed it is. I think particularly from where we sit this as the human resources side and obviously we work more with companies to find them the right talent, but a certain at a certain level, but there is a push and there is a, there's a move and there's more, much more excited than, than ever before in the area of supply chain. And also education I is, is slowly but surely changing as you said. And I loved the, your, your analogy or your, your sharing in terms of start small, you don't need to rock the boat. You on need to revamp the whole curriculum of the university because it also, that is very difficult to do. Even the professors, as you rightfully mentioned, may not have the skills or the knowledge to overnight pick up this, uh, this new subjects. But you can do it in a small way that overtime picks up. So I really liked that and I wanted to kind of build upon that. And ask the question from one of our customers, which, which was along the side of how, on what's your thoughts around best practices and wishes for both students and sponsoring companies when it comes to internships to graduate programs to, you know, building up that's cause it and also kind of getting the students on board the company on that journey. Speaker 2:14:24So I think that's a great question. I think it was from Matthew and met you're spot on that um, it takes two hands to clap. So you know, if you want to attract students, the students have to know who you are. So I think the fact that we actually have the noncredit classes was great because many of the people who came in to teach for the students, I actually leaders from the company, so because it's non credit, they don't have the grade exams. They just to tell the stories of why they are still in the job 30 40 years later and you know what, I'd be future opportunities. Then of course they learned something solid. They can bring their team in and say it's okay. We want show to you that you know you need not come into the company at the trading level at the moment we need you to learn trading ops. Speaker 2:15:12And the more you learn about ups, the better trader you are. So address expectations. You don't have kids coming to your company thinking I want to be in your shoes immediately. And I think those are very important lessons. So people were asking me in one of the questions about mentoring, mentoring can take place through such programs. You could actually have professional leaders who come in and share and in that process, given the, you know, the experience that would be great business coaches and many of our students are inspired to join the industry because of all these wonderful leaders who came in to speak to us. Now of course that is also a responsibility to taking an intern. So we also tell Ella company that is a little template and so the Internet comes in. We like to see that there is some kind of a structured program and therefore at the end of the three months, four months or six months, some of our students go all the way to six months. They actually would say I have learned such and such and it's that I had done this project and that project because to them that is part of their whole CV and therefore it adds tremendous value. So we've actually had very good company who sit down with a student and then draw up a structured program for them even within the internships. So best practices is, there's accountability, that's responsibility. There's a certain discipline to internship programs as well. Speaker 3:16:42So thank you for the, for the answer. And I love also the flexibility that I know we had the discussion in terms of the internships during that you mentioned offline that for example in the Singapore Management University, and it's also quite frequent today in other universities where you have that type of, um, you can take off those six months ago during the company. Then you come back, you finish your degree and then you have the decline. And a lot of times that brings most times actually that brings a lot of Gravitas and depth to your CV and you do your curriculum and it kind of also links the concepts together. If I am to think it's kind of in, in many ways I think of the analogy of people that go to an Mba without working experience versus people that go there with working experience and it makes a lot more sense. And that's why most MBA school is actually the reputable ones in force it like look work for five years then come because then actually it kind of links in your now in your mind. Otherwise, uh, it's, it's kind of just a theoretical exercise where it may or may not exactly connect dots. Speaker 3:17:40So I'd love to, I'd love to kind of move to the part where we talk a little bit about digital skills and digital literacy. There's a, there's a question. Keith Carter is a professor at Nus National University of Singapore and great, great friend, great professor and the practitioner. And, and he was asking how can we increase digital literacy because as a skillset, as also as a mindset almost today is just crucial. Fundamental. Speaker 2:18:03Yes. So, so I'm happy they have a fellow, uh, you know, Academy asking this question. And Keith is quite right that today there's an urgency. So if you look at a minister having my finance ministers budget speech a couple of weeks ago, he actually emphasize that this is a set of skills that we need, not just for students, but even for US citizens as Singapore moved to what's being a smart nation. And then of course for businesses because this is the only way to compete today. So, you know, we can grow the current skills, but since we have curriculum and we have students with that, we must also quickly go upstream and get to the students. So I think even at the secondary schools, the primary schools, the high school, that is a big agenda now about learning to be digital very quickly from day one. And so therefore the, what quickly is key. Speaker 2:19:00Now digital skills should be a life skill, right? Key. So we have five senses. Why don't we say we should have a digital sense. And I think for students, for children born in the year 2000 the radio digital natives. So there is no need for us to worry about the baggage or the legacy. But even my 1980s 1990 bond students today, they need to update and upgrade. And I think for the ones who are India 40 and under, they are the ones who are struggling. So everywhere across different layers of Singapore's human resources, we need capital injection, they'll make us human capital. So investment is critical right now. Now the young ones could probably pick up digital skills quickly. The older ones will probably take a long longer. And then you know, they probably have to ask themselves, what aspect of the digital skills can I learn that allows me to be creating value. Speaker 2:20:05I cannot re learn everything. I cannot unlearn everything, but maybe I have a companion. And so we feel very strongly that in fact we should match the younger cohort with the current cohort. So learning can be on a collaborative basis. Intergenerational. So I love the suggestion. I would love to hear from the audience, but one of the things that we are doing right now is about a year and a half ago, uh, Ministry of manpower. So now you are realizing I don't just talk to one ministry. The Ministry of Manpower speak spoke to us about another La mid career professionals that are getting displaced and a sector though they used to be in may have become. So in banking, some of the middle office roles, uh, going to other countries where the cost of labor is much lower. So you might now have a group of people with some domain skills, actually very strong domain skill, but they are getting disrupted and so they need to learn new skills. Speaker 2:21:07So jobs will go a weed, but skills will not go away. You just have to learn new skills. So we propose because of international trading institute, we proposed to the government that actually if you give us one year and we couldn't match their mid career hires to the growing companies that need some kind of help and support to digitalize and grow wholesale trade, this individuals could be retooled and re skill to help those growing companies. And the government heard us loud and clear. So we have now become one of the institutes that are offering professional conversion programs and we do bring in people from the industry to help put digital skills into the curriculum. So trick digitalization. How do we migrate from e invoicing from traditional invoicing to Ian Bingo. So grow paperless, but we ended up having to do the coding yourself because at the mid career this is not the time for them to learn about coding skills. And the young ones could probably learn that that today software as a service so everything can be open source. So you could stop knowing who else is in this area, who are the vendors that they could hear, and then bring this event dot context to their companies to help them digital lace. So I think this is the way forward nor running away digital skills will be part of our curriculum that is a given. But even digital skills need to be upgraded even as we go along. Speaker 3:22:48Yes. And to build upon the question in, in terms of those skills, but you know, looking at the future and you've touched upon, you know, kind of humans, the human element and the human skills. Tell us a little bit about the overview on soft skills, right? Because you know, these are not skills, certain certain things you can pick up fairly quickly or not. Right. Soft skills is another. Speaker 2:23:08I am, yes. I am so glad I do. You asked this because I think the more you get utilize, the more you need to be human. And that has become my mantra because I have seen that, uh, technology alone does not create value. So we are actually seeing a lot of tech people increasingly saying, uh, we need to work with interdisciplinary and multidisciplinary teams. And I'm so delighted with this question because a few hours ago I have my, um, research, uh, vice dean from one of my schools mentioning that, you know, we have psychologists, you know, from social science, where would they be if today everyone is emphasizing or new digital skills? And they say, Oh, you'll be shocked. I've been speaking to the Facebook, the Google companies of the world today. And there had been telling me that we can no longer launch any new service, a new product without a multidisciplinary team. Speaker 2:24:08So they will have data analysts who sit site-based savvy, they psychology major because you have to tell from the data, big data and turn it into useful ideas. So data analytics cannot be done without knowing how the human beings behave and how to influence. All right? The human beings, there were certain direction. If you're wondering, do you know by a southern product bias it in service. So I do see that hot skills people need to learn soft skills and soft skill. Major Nick to appreciate the role of technology and digitalization in changing the way we conceal that we buy that we left. So therefore increasingly it's going to be less and less like a big majors or functional alone. But greet the cross interdisciplinary, no, you learn it and, and he had to jump in and say that's why Smu continue to experiment. Even to date a few years ago, many of our faculty, I actually saying I can teach one discipline without another faculty teaching the other discipline together with me. Speaker 2:25:21So we've launched something called Smu x an or extra extra because uh, accounting professor will then say I need, and I ask Professor Co teach with me and we design a program around accounting information systems and then our students will not get much value if they're learning it from a textbook. So we will go out to a group of companies and say, do you have existing projects? Do you have some problem that we can scope? And then you take this problem and we give it to a group of students who are in the process of taking that class. They actually solved that problem for you. And they have the work in teams. So we have accounting students and information system in the class now it takes a lot of work for two faculty to teach together. It's a really a lot of what for one faculty, but imagine door faculty from two different disciplines, team teaching, but they learned too that they are disciplined, have no got impact learning and implications for application because of this merging of two disciplines and now we have got some fantastic projects that the students have worked on and to incentivize and make it even more risky for their students. Speaker 2:26:37It's a group project and they get a group grade and the grade is the only thing that they have from taking this class or, well yeah. So we get to experiment and the companies that have come in on this journey with us have actually told us at the amazed at some of the wonderful projects and ideas that the students have brought to their own management team. Speaker 3:27:03Have you heard some success stories and being implemented as well? Speaker 2:27:07So we actually have a lot of, this company's actually got your whole team to come and then they said to the students, can you then could clean now in the next six months, all right, be our interns and implement the projects. Speaker 2:27:26by doing and then they are really one step closer to the company and in turn the company also know that this group, they can now watch them and decide that if they finally graduate, who do they give the employment contract through? So our students literally that protect the risks with us. So SMU x, it's not across the buck. We must have reeling faculty, reeling companies and really students, but they dead. They all step up to it. And now our next wave is to do SMU x overseas. So it's called Smu x or once you like the name Expo, you know like the connect. So the ex overseas is critical because in minister's speech, many Singaporeans know how to do local projects, but companies are not employing talent to do overseas projects to do. So you can talk about trading merry time and supply chain if you don't cross borders. Speaker 2:28:28So we want our students not to have digital skills and functional skills along. We want them to have cross cultural skills. And the only way to do cross cultural is to work with the localization to work with teams of people who are from Myanmar, Vietnam, Indonesia, Southeast Asia is just right behind our back yard and there has to be a one RCN. It's not good enough to be one Singapore. Singapore's relevance is pivoted on the relevance to the whole Assean region. So for me, I'm so excited because I'm looking to my ecosystem of companies now and said, look we know you like Smu x but now your stretch with us. Do you have a company project that is overseas? So our students were learning in class. Then they will go there and help you implement, go international with my students so that you can also achieve your objective of being international. Speaker 3:30:23it's whilst you were wealthy, you are sharing. It made me think because when I was a student, there was part of student organizations. I was part of two international ones back then. The one is called [inaudible] and I think they have, I mean no for sure they have a presence. I don't know if they have it. I think they have SMU nus and Ntu in all the three major universities in Singapore. And they have some fantastic projects as well, international internships and and all of that. And they do it. It's run by students for students. Yeah. It's very interesting concept. But basically what you've just described is it's taking it one step further where you actually involve the effect of is and the professors to basically actively create those and cocreate those projects with the students, which just takes it to a much greater level of right because the students organization can touch item and maybe 100 students. Speaker 3:31:07But if you do it right in between faculties, he touch even the lives of your students, which is great. And I, I'd love to also make a segue back to them with the part with the soft skills because there was a very specific question that, that Henry curves and I know him, a person and his phone back home and organizational development and psychology and he was specifically asking how long coaching facilitation and meditation is not part of the university's curriculum. Cause he's thinks that those three skills are very relevant to the workforce. You mentioned that you liked the teams to work together so they learn those kids, but he's actually putting in the context, maybe we should have it as part of the curriculum itself. Speaker 2:31:42I would love to meet Henry one day, but you know, actually in our core curriculum we do have, we started our, you know, Undergrad 19 years ago. It's in a model with American style education and we took quite a big piece from Wharton school and he has the leadership and team building as a cough cough. And then the next level of elective is called leadership and team mentoring, which is another level. So we do have students who learn about Ltb and then they become mentors to the level one students. But that is very much learning within Smu undergraduate community. In fact, today we are now seeing even more mentoring needed, not student mentoring other students, but actually outside people mentoring our students. And so when I mentioned Smu x just now, not only must the faculty have oversight of the project, but every project will have application to accompany. Speaker 2:32:44So there must be some good buddy in the company who is the sponsor of the project and he or she has the sit down with us students to mentor them. So business mentoring of project, our project mentoring is a really thinking place now of course it will be even better if the students have life coaches and all that. And now we currently don't have it in our curriculum in a big way, but before the students graduate they do have a coach to kind of sit with them and think about what be our life goals and what are some of the career opportunities that they are looking at. And that goes under our career services center. So it's a bit like a finishing touch. All right. But the more we work with the industry, the greed that the opportunities are for many of our industry professionals and partners to be a Saas Fall where future coaching of projects of our students. But you know, we haven't formulated it into a Keurig. Speaker 3:33:49And I'd love to touch on, you mentioned the American education system. I'd love to touch upon cost because that's a big one in the, maybe we can share also we notice, I'm myself, I'm not familiar with exactly how much the cost is in Singapore, but I know that him in America is, is, is crazy in the US. I think it reads, you can up to 100 $200,000 a Costa for a, for graduating from university. So basically the question from one of our audience was how do you cope with the increasing costs? It's exactly the same as there is a, there is a cost associated to it. And what's the Roi in the context of constant change that we being faced today? Speaker 2:34:27Good question. So I must say that at the undergraduate level, uh, which has about 8,000 of our students on a four year program, the government is our biggest source of subsidies, right? So many of our students actually get a very good quality undergraduate degree, still costing some alright funds, but it does not break the bank. And, um, they do, they are allowed to go on student loan and then pay without interest over a few years after their graduation. So I think at the undergraduate level, Singapore government definitely has done very well. Uh, we are not the only university six other universities are autonomously run, but government funded. So the invention is in place for undergraduate, but you only get that at undergraduate level. Once you want to go for another degree, then it's on your own. And uh, I do, you're right. I think in Singapore right now an MBA on average is close to a hundred thousand singers. Speaker 2:35:32Well, yeah, so you actually have a range depending on the brand name. All right. Many of the people who I, you know, MBA program are not necessarily from Singapore. So I think the Singapore brand is still a good brand. And so more than the 60% of our student profile is actually from other countries. And Yeah, hoping, let me be with an MBA from a Singapore Brendan University. Yeah. They could get jobs here. They could actually applied to learning and you know, have jobs here. And if it's a generic MBA that you're talking about and she, most of the people is first degree is not from business. So therefore they need it, the NBA in order to round them up and have a set of fungible skills that could help them manage people, manage resources, manage company. So Singapore Management University is not about a business school is actually about giving you management capabilities so that you could manage nonprofit as well. Speaker 2:36:34He could have an MBA to become a nonprofit leader. So the idea here is you're investing in yourself. And so given the fact that it's not subsidized at the university level, therefore the university had to put in true costs until the undergraduate is actually expensive too, but they are not paying the true cost because of the [inaudible]. Right. So the question that she came from your audience is why would anybody want to invest a hundred cane? Or do they get the return on investment? And that's a fair question. And interestingly, the market's still do recruit Mbas. And I think it's not just because of an MBA is that whole holistic portfolio of the individual. So many of our MBA students come from certain domain expertise and after the Mba d hope to get a better job, maybe a much more leadership role instead of the functional skills. Speaker 2:37:34Sure. So if you look at rankings and we are now in one of the top 50 now of the Asian University, a lot of the drivers of the ranking is between the time you joined a program and the time you graduate debt. It's debt and improvement of a pig. And there is, and the data doesn't lie. People do get that return on investment. And so the market is still sitting the Linden Mba yourself value? No, that doesn't mean that Mbas the only master's degree. So we actually have different masters until we are musters in a plate finance musters in wealth management, master's in innovation. And today one of the hottest masters is masters in business it well where you marry business and it, yeah. So today's world is where you see yourself, where do you see on Nick's career pathway and then you look at what unit to get there and usually the masters give you the credentials. Speaker 2:38:37Now, of course on top of the masters if you will have also worked on relieved projects during that period in which you are investing in a masters. I think there is still real bat increasingly and Henry is right. People are weighing the costs and the benefits and it was say that what happens if I don't take no masters? What would show up as my talent portfolio? Then I would say you can go for certification programs. You can do so learn from online. I have many, many people who tell me that they actually learn data analytics online. So it will demi Edx, the o out there. But I think it's not the Breen and uh, you know, just a passive learning that gives you the edge is s you learn, do you have a place to apply the learnings and I think some of our programs that are offered, you know, where the government is investing in lifelong learning, it's no longer for the next wave to be just a classroom. Speaker 2:39:37We would love to have people join a company and sit down with the AI learning and development person and say, what can I do to make myself credible for my next, alright Jan in career pathway, what do I need to invest right now and where you're caught, you invested in me so he charmed me [inaudible] some of the training but the individual must take ownership for he's offered to and that's why life long learning is such an important component of Singapore's blueprint for human capital development because that degree alone does not make you an effective job person or effective talent for the company that young children. Speaker 3:40:19It's, it's, it's interesting actually Mac Mac had a, had a second question basically touched upon it so nicely that I'm going to jump into it even if it was for later. So basically you were saying the same thing he was arguing in his argument was that if you die, you do spend the indeed a few hundred dollars versus via all these online portals where you can pick up skills, right? You then be Ui path, which is a, for the robotic process automation, you can learn by an RP, whatever, whatever it is. Plus you managed somehow through connections or network or whatever it is that you, Maria manage yourself, which is nevertheless it is harder to get into a company or apprenticeship or internship that can potentially better prepare you for future logistics come a career or supply chain Korea. Then basically an education system. I think this, the argument comes depending on, cause you've shared with us all the great initiatives that happened in Singapore, but Singapore and me being here for for many, many years. Speaker 3:41:18But coming from a, you know, from a, from a different type of a system, maybe we're just not as advanced and I think a lot of systems around the world and not as advanced. So Singapore I think is that one of the, one of the more forward thinking, a lot of educational systems are not yet there. So I guess where, where he's coming from, it's like, yeah, it's good. Where is that balance? Because it may be that it's bad and there's, you know, buildings never graduated. Then there's a lot of entrepreneurs, we have all these success stories right away and they kind of built the company. I never graduated from school because they had no time. So where's that, how do you decide, right. What is better for you? And if I can just jump in, kind of follow my own thread of my hand and I'll give you that. Speaker 2:42:24so I think today there's no one pathway. And I think I'm so glad in a way that um, our minister of education recently have stopped the idea of streaming. All right, I'll putting you into the fast track, the normal track and then not so normal trek. And he saying like, you know, depending on your level of, uh, ability to learn, you might go from one to another and you're picking up your portfolio of courses and they probably make things less clear because, but the future is ambiguous, is a Vuca world. Volatile, uncertain, complex and ambiguous. We lived with it. It's going to be like this. So many people might have like a functional, uh, you know, major because they like structure, right? But SD get to career pathways, they need to go back to different institutions. And I did not see university to acquire the aunt. Speaker 2:43:28And the aunt can be learned in different ways. It could be a corporate that has a structured program for you. It could be you got to go out there and sign up for the program. So even my professional conversion program that has governments city, I cannot do everything on my own. So I went with ICC Academy who I, they actually give us an elearning modules and we make the students, adult learners learn in your own time, own target. But just within the six months you must complete the expo in certification. So they are starting to learn at 45 or nine and that's why we sit. You learn digital because it's going to be your curriculum. You were going to have that certificate. If not, I will not give you my final diploma in trading. Right? So universities must also adjust universities of the future. We have to work with many other partners where there will be possibility. Speaker 2:44:26Maybe I can let part of my curriculum be done by somebody else who is going to be Becca at training. All right, the future graduates of tomorrow, maybe I can collaborate with them. I have content and they have the pipes and tubes to reach out to the masses. So therefore that said some kind of a credentialing system. So right now we are still experimenting. Some of our costs are going to be based space and there will be stackable to work to a degree. But at a woman you can tick it as certificate get modules and if your admissions criteria you can become a set a degree when you treat it in later on. So different strokes for different folks. And I think um, education is seemingly takes a longer time to change. So I think one of the questions is like it's, there's a big divide between the wall out there and many of the university and I think nothing hits universities faster than a shrinking population and other alternative nontraditional offers of courses and content. Speaker 2:45:36So some universities in the US are also very worried because they may have normal young students, they may end up having a lot of older students who are coming back for retraining and therefore maybe they should not get so fixated about offering more degrees but should be offering more competency base type program that can help people re skew retool and prepared for jobs of the future. So I think this conversation will continue. Fortunately in logistic space, the market has been very responsive. Uh, I am personally not only just working for the university with my ITT, my international trading track, my merry time track and my maritime business operations track. Those are all my undergraduates. I also sit on the Bot of a scholar and Scala stands for supply chain and Logistics Academy, which is housed under one of Singapore's sledges. Logistics for whites. He hitched, so they have footprints in different countries as well. Speaker 2:46:46And the actually have stepped up as one of the professional trainer for logistic space. So we outsource one module of our professional conversion program. There was Scotland because not only do our mid career hires nick to learn downstream treating upstream transportation, they need to understand logistics as well. So that one module they will go to scholar to learn and then there is an assessment and we were counted to whatsapp diploma. So I'm very collaborative. I do, I like to believe that that's the future of everything. And logistics is not about learning in the classroom. So many of all our PCP professional conversion program candidate and last own professional conversion program can delete or matched to jobs with. So they learn by doing. So the future is about a plane. And the relevance is when you apply something is that you've got skin in the game, the learning puns alive, the learning becomes, oh, that which have learned about trade facilitation. My boss is not asking me, all right to send this Sku of goods to this country. Do we have a free trade agreement with them? How do I get it into that special list so that I don't have to pick areas so that I can have a market? So the whole learning comes alive. And I think that's the best way to learn. Whether you are mid career re learning or even an undergraduate, who are you? Speaker 3:48:28It's practical, it's practical, it's pragmatic. You can see exactly where your, whatever it is that you're learning can be applied immediately. So, yeah, absolutely. And I, based on what you just shared, and we had Yossi Sheffi who was the dean of Mit, uh, for transportation and logistics. And he was, he was, we had a very interesting discussion, a that point in terms of the future of education and as you rightfully said, and ultimately it seems to be seen what it is going to be. And I think nobody actually has a, has a concrete idea of what it is. But probably things like online learning, things like collaboration between the different tripartite agreements between different parties and the three elements, government education and private sector will continue to be a cornerstone of making it work. And, and, and back to your seat. He was sharing that he's all for online and MIT under his, under his, uh, his watch started this online courses and they have MIT x and they even put up different centers of logistics, uh, open up I think five or six all around the world. Speaker 3:49:29So he's done a fantastic, but he said, you know, rather, I'm struggling with some of my colleagues because they're not that open and they are really keeping it close to their chest because they'd been used to teaching in a certain way. And there's the old way. You also have to pay a lot of money for it. And I'm like, I'm all for opening it. Maybe I'm too, I'm too open at the same time. But I guess a profit and this is the reality that we live in. And then as you said, I mean unless you are able to adapt also as a university you stand the risk of not having students anymore because people will find other ways of learning and if it is not practical, if it is not collaborative, if it is not truly adding value, you know diploma is as good as the diploma but at some point there's going to be other ways of doing it. Speaker 2:50:10I think a lot of peoples that have the aspiration, the always wanted to have a university degree. But you know, we do have great examples of people like you said, who actually self made men and they learn by doing because they will have to create value so many miles. I dependent on them. But I'm coming to an education. We cannot be everything to everybody. So there are different reasons why people still get a degree and w one a degree, so time to sit back and think. So I still have a lot of mid career people who can afford it. And he said I'm going to take two years to learn something. And I had done a lot of mid career who I very strong leaders and they all want to come back and do a phd or applied, uh, you know, do a doctorate degree. Speaker 2:50:59And I liked that because they actually said we're coming back to the university because it is an institution of higher learning. So I'm not here to learn a treat anymore because I've done that trip. I want time to think. I one time to put all my learning before into a piece of thought leadership and contribute to the world or maybe learning a little bit, just pushing the envelope. But I have a part to play contributing back. So I think we shouldn't just sit everything under the carpet and throw the baby with the bath water. I think universities have a role to create thinking adults. Not that you don't think if you don't join a university. Yeah. But um, to ask questions to ask what are the big questions, what are the big problems? And today we can solve the big problems on our own. So digitalization have made inclusiveness possible. Speaker 2:51:58So yesterday I was at uh, one of the future of trade forum and I love it that increasingly, oh my startup are looking to what's, you know, the bigger boys because startups Andujar on is no longer thinking of disrupting the r value is in helping the big boy and he worked cohesively together. So we are seeing that convergence now wrestling startups who actually said, I know that my exit may not be, there's a bit by, by one to a use case to show the I am value for this big company and big companies. I also seeing that my legacy system cannot change quick enough, but let me work with a startup. So I'm seeing thing of mice and seeing meeting of cultures and I think one of my ambition is all institutions of learning should come together. That will be great if we can do it in little Singapore. Speaker 2:52:58I would love to talk to kick, you know and see how we can collaborate. All right. Maybe in not nondegree because it's easier to do collaboration if it's non degree. And then we can look at how can we help the region. All right, how can we help as our companies grow global? Maybe I could have Keith offer courses in his digital site and then we offer courses in the tricks to help our institutions in us. Yet many of them are hungry to learn. And then we worked with a partner university who can turn it into their language because a lot of times we are fragment that English is very natural in Singapore, but some of the countries we go to, they still need the local language. So we have a university partner who can then translate and bring it down and make it more available because technology is now making it more available. So I think human capital is the theme. It can be human capital with then your own country within your own sector. But the power of digitalization is you can touch more human beings by working together. So I definitely hope to work with more people if they hear this podcast and modern happy, modern. Really? Speaker 3:54:17No, I'm sure. I'm sure that I'm in then we'll include your context though so they can reach out to you. And just before we go, I'd love to address us of this question because it's a big one and it's on sustainability. And Corina was asking, um, that that you get, I mean she was kind of framing it that education gets a more and more important meaning today because of the globalization and we have a lot of different things, um, you know, peace, justice, strong institutions that are there to look after. But also it's, it's that kind of married or, or almost obligation that education should have in order to contribute to a sustainable development at us as a society. If you mean, how can we achieve that? How can educate the chief education? Yeah. Speaker 2:54:55Oh, I love the question from Corina. Is she related to you? Her last name is Radu just teasing her. She's Romanian. I love the question. And I think Corina, you'll be happy to know that I'm just as recent as last month, beginning of the year, uh, my business school, my dean, Jerry, Josh had just announced the sustainability is a major in our business school. And even today when I look at all my companies, uh, that have supported, they are coming to us and say any, it's great that you've done your curriculum that has non credit in product knowledge, but going forward can you also include a noncredit sustainability? All right. Component because mine, more companies are looking at assisting ability. So I just came back from Kuala Lumpur and one of my um, palm oil plantations company who own huge footprints and she said, um, the time is right for the whole palm or industry to come together. Speaker 2:56:03Not because the buyers are demanding it of us, but because our talent do not want to join us if they think that we are the ones that culprit that's burning down forests, you know, and not planting back the truth. But we now have data that we are collecting from the farms and the more we walked across the value change the supply chain that you're so proud about, I'll do, if we can get all the elements in the supply chain to collect data and track the traceability with blockchain today and with AI to interpret the data, we can actually show that day. He's a certification that we are definitely paying attention to sustainability. So my new precedent properly call has actually taken on the role or re looking at the whole curriculum and our curriculum today is [inaudible] as a core curriculum before you do your electives around three C's. Speaker 2:57:05And the first C is on capabilities, which is very much driven by your majors. Knew your tracks. Yeah, some functional skills that every student should still need to learn. But the second one is about communities. There is, you cannot be an educate that person if you don't think beyond yourself. So the community is critical. You should be doing corporate social responsibility. You should be doing things that build a more sustainable future for the whole world and for your own village. And not just the [inaudible] alone. And then with that, it's about civilized nations. How can you be a good global citizen if you are? So micro email only a frog looking up your own. Well, so civilizations is to create cross cultural awareness. And what bet do we then I'll ask Ian back yet we have 10 country and so many of our students look to the Europe, look to America but don't even know enough about us. Speaker 2:58:05Yeah. So I think if we could hit the all three cs in the next few years about called curriculum, uh, we should hopefully be addressing some of that sustainability question daily. They are the future workers. They are the future, uh, consumer. The other future partners, they will require it. They will insist on it for the whoever the are going to be working with. So I think I'm not giving up hope on the current pool of human beings and people, but if we invest in our future citizen who is a global citizen who sees compatible, sustainable, they know well that we all live in together. There is hope, Corrina, for this to happen. Speaker 3:58:54And, and, and as we know it's been studied and then, you know, with generation y and the millennials and I don't know how they call it, the last generation z or the demand for, um, basically sustainability and meaning in work and in whatever it is that they do is, is so high that it's just incredibly important that we include that. And I would love also to kind of wrap up with a more personal question because I think now by now, you know, the audience knows you a little profile and then you, you know, your energy is contagious. And I think you've shared a lot of, of great, great stories, great projects. And I think that the common theme that comes across very strongly as one is collaboration and, and maybe community in the sense of let's do this together, let's involve the different players in the ecosystem and let's build it together. Yes. Um, probably another theme that I've heard that again and again was, you know, let's be open. Let's be creative. Let's explore, let's try out new things. Right. So then that part, but maybe tell a little bit, yeah. To the audience, a little bit about yourself, how, you know, you have this energy and you have this special and, and you know, how did it come about and if you had a very successful career in the academia, so I dunno maybe very shortly, you know, how did it, yeah. Speaker 2:60:10I think, I think, I think a lot of people see me as an academy who is always challenging, um, the current because the current needs to change. Yeah. But, um, most people don't realize it. I actually have a career that is not in the academy, in the path. So after my first degree in economics and social studies, actually I was a banker, so I was four and a half years, a banker in dbs and I went straight into treasury. So I was a forex trader. Yes. I like that. We use small Radu. So that's a part of my life. You didn't realize. And I have four and a half and fantastic years where we are actually international from day one because in Singapore you don't deal. All right, uh, local, you deal international. So I think I love to what international internationalization should be in the DNA of every individual because that will make us a much more open person. Speaker 2:61:08And um, there will be a upcoming announcement soon. Ah, Iti. We have been tasked with the skills, future framework for internationalization. So we have, um, industry transformation met for almost every industry, but internationalization cuts across all the industry. So because of all title International Trading Institute, the first wave of going international is to do trading. But once you've done trading and you know, the market, you also looking for partners to enter into the market either in the form of a greenfield project, the JV partnership, a franchise or even a merger and acquisition. So the Singapore, uh, SSG, the skills, uh, future people in the ministry came to us and said, can you talk to many of the people at the ground on how to grow international and tick that ground up, approach it state of top down and come up with doe call skills that allow for people to I skills I skills meaning internationalization skill. Speaker 2:62:17So we will be announcing something in that line. So you asked me who I am way I am. I think I am at that sweet spot in education where I can influence partners. I think we are in a safe spot because a university, any interview of higher learning is seen as a neutral place. And Trust is very important to make collaboration book. So I don't have any extra benefit. Uh, I don't have a product to sell. I only have students and people and faculty with ideas. So, you know, it makes us very neutral and it makes our mission also very important because people trust us. So I cannot be traded at trust. So when I put my head out that I will try and start a new institute or a new program or a new track, um, my word is my bond because that's what forex dealers see. Speaker 1:65:18many projects that you're involved in. Thank you very much. Should I do my pleasure. Thank you for listening to our podcast. If you liked what you heard, be sure to follow us on Ratthapala mario.com/podcast for all the show notes, links and extra tips covered in the interview. Make sure also to subscribe to our emailing list to get the news in the nick of time. If you're listening through a streaming platform like iTunes or stitcher and you like what we do, please kindly review and give us five stars so we can keep the energy flowing. You'd get more people to find out about our podcast. I'm most active on Linkedin, so do feel free to follow me to stay tuned for our latest articles as well as future guests for the podcast. And if you have any suggestions or any other idea, please feel free to write to me. I respond to all, and also please make sure not to miss our next episode where we will be having a few other c level and top leaders in supply chain joining us. Stay tuned.